Arborio rice before cooking, rinse with cold water until bestowed when the water becomes clear. The old rice steep for 30 minutes, so there will be less fragile. After rinsing and soaking the rice dry it possible. 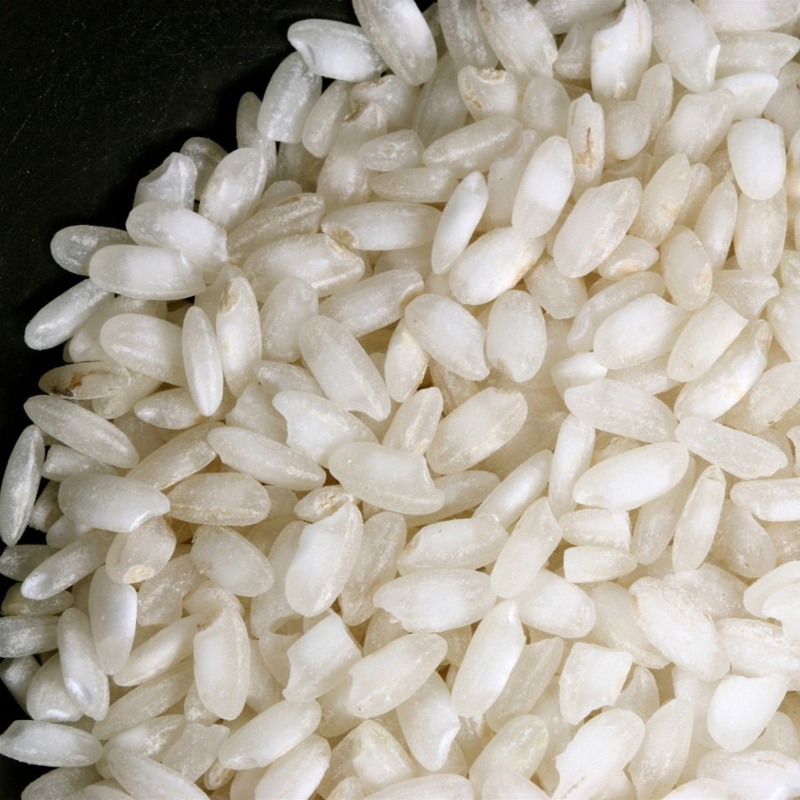 Pour the rice into cold unsalted water (1 cup rice to 2 cups of water) and bring to a boil uncovered. You can also cook in the broth. Boil for 15-20 minutes on low heat until the rice absorbs the water. Time start to count from the moment of boiling water. During the cooking process should be all the time to mix, so that the starch contained in grains is released and gives the dish the right consistency. Simmer, covered, with a slightly ajar cover until the "craters" and stew under a tight lid. Bitten cooked grain of rice is soft and delicate. After cooking, we leave it for 10 minutes, then pour the cold water and stir gently. Arborio rice is ideal for risotto because of its high starch content.